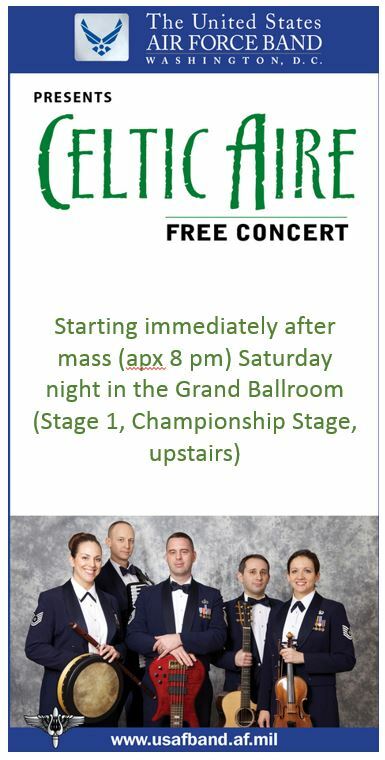 Formed in 2007, Celtic Aire is comprised of five Airmen musicians from The U.S. Air Force Band’s Singing Sergeants. In addition to concerts in Washington, D.C., and the surrounding area, this ensemble performs at events for high-level military and civilian leaders. In 2009, they deployed to Kuwait, Iraq, Qatar and Kyrgyzstan in support of Operation Enduring Freedom. Using multiple instruments and lush vocal harmonies, they have developed a repertoire of Celtic folk songs, Irish reels and jigs, pub songs, and cover versions of pop songs. The ultimate photo opportunity! Open to all levels. Any solo dance of choice: 2 steps in the reel / jig etc., traditional set dance or ceili dance in groups. The Exhibition is a great photo opportunity of your dancer and the Capitol building. All participants will receive an award. Spectators are free. No food or coolers allowed but you may bring your own chair or blanket to sit on. In case of rain or security reasons this event may be cancelled but participants will receive their award at the hotel. No refunds. If you travel down to the Capitol building on your own, always allow lots of extra time as DC parking, traffic and events can slow the best made plans!